Are you having trouble figuring out how to fill PDF forms? You aren’t alone. This isn’t just a common question — it’s an important micro-skill that every computer user should learn. While there are many ways to do this, and many of those ways are easy, one of the simplest and most convenient ways is to fill PDF forms using nothing more than Google Drive. Since Google Drive is free for all, anyone can use this method, and since Google Drive is accessible on the web, you can do this from anywhere. Editing PDF documents is not a native feature of Google Drive. But what it cannot do itself, can be outsourced to Google Drive Add-Ons, which extend the utility of the cloud platform. So let’s turn to an essential Google Drive add-on called DocHub that can help you sign, edit, and share PDFs from the cloud. Drag and drop the PDF form into your Google Drive to upload it. Open the PDF form. With your PDF form displayed, click the Open with option on top of the document. DocHub isn’t installed yet so click on the Connect more apps link that takes you to the Web Store. Search for DocHub. When the result comes up, hit the blue Connect button to install it to Google Drive. Now, go back to your open PDF document again and this time select DocHub from the Open with menu. When you open DocHub for the first time, it asks for permission to access your Drive. Allow it and DocHub opens the document within its own interface and converts all form fields into editable fields. If necessary, use the DocHub toolbar to modify the PDF document. For instance, use the text tool to enter text anywhere in the document. On mouseover, you can see what each tool does. It is self-explanatory. An automatic grid line also helps with the visual alignment of any extra annotation you do on the document. DocHub also has an option to insert your custom signature. Save it on DocHub and use it on all documents that require a signature. You can sign it from your phone, draw on your screen, and even use a pre-existing signature image. The DocHub hamburger menu on the right has all the options to save, send, or share your filled PDF form. For instance, you can download it to Google Drive again and share or send it from there. DocHub has free and paid plans. The free plan allows you to edit unlimited documents by sign five of them per month. PDF is a universal document format and Acrobat isn’t the only player in town. There are several tools online that can do everything with PDF documents How to Edit All Your PDF Files Online How to Edit All Your PDF Files Online You don't have to install software just to fill in or edit a PDF. We have compiled online solutions you can turn to for all your PDF editing needs. Read More . 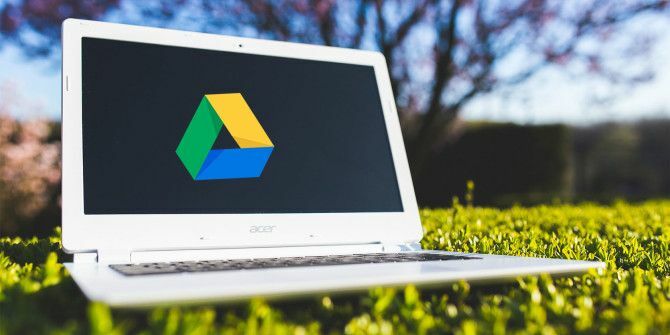 And if you love working in the cloud, then Google Drive can do a lot with the PDFs 10 Tips to Do More With Your PDF Files on Google Drive 10 Tips to Do More With Your PDF Files on Google Drive From managing your files to collaborating on Docs, Drive is a full-functioning office suite. What many people don't realize is its capability to do far more than only view PDFs. Read More you store in it. How do you fill out PDF forms? Are there any better alternatives to the DocHub and Google Drive combo? Explore more about: Cloud Storage, Google Drive, PDF, PDF Editor. I like the two posts. I have an issue with add-ons, especially when they request access to Google drive. A topic on the security of add-ons should be researched and written. Nothing is free. What says or guarantees that whatever I fill will not be saved by the add-on's creator? Form often request birthdays, contact info or some other personal information that can be used to access sensitive materials. That's true about every thing on the web. As soon as we get on to it, security becomes a prime concern. Google's entire basis is our information. So, if Facebook's. I've always wondered what kinds of security implications add-ons for drive has... I use Google drive for education and take some comfort in the terms of service with regards to privacy. Does using an add-on give the maker of that add-on access to all my files in drive? In this case, does it give them direct access to my PDF document? "DocHub also has an option to insert your custom signature. Save it on DocHub..."
That doesn't sound like a very good idea security-wise. What else can DocHub do with your signature? Do you trust them? Do they keep you signature secure from hackers? As your article states, the signature in DocHub is legally valid. They could do all sorts of nasty things.